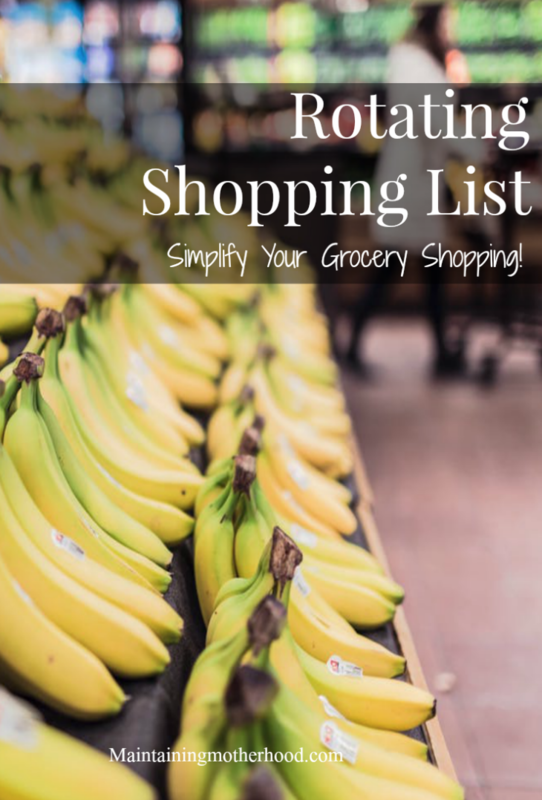 The best way to ensure successful, efficient, and infrequent grocery shopping trips is by planning out your trip before with a great rotating shopping list! 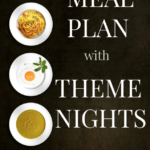 If you’ve been following the Meal Planning Series, you know that we have discussed the importance of having a meal plan and how theme nights can help you create that meal plan. We talked about making sure it is affordable for your family and I showed you what our current menu looks like! Today will help you take the guess work out of what you need at the grocery store. I don’t know if you’ve ever had the opportunity to take six kids shopping, but it could be an Olympic sport some days! I try to go grocery shopping while the kids are at school, but that still leaves me with three kids. So, I have attempted to make grocery shopping as brainless as possible. I like to be able to get in and out of the grocery store in under an hour, and I only like to go grocery shopping every two weeks. How do I do it? Let me show you our tips and tricks! I used to be the type that would look online at all the different sales for the week and either shop at a few different stores, or at a different store each week. Now that I have created our Rotating Menu and have a fully stocked pantry, I am pretty loyal to one store. I like to grocery shop where the perishable staples are the cheapest. 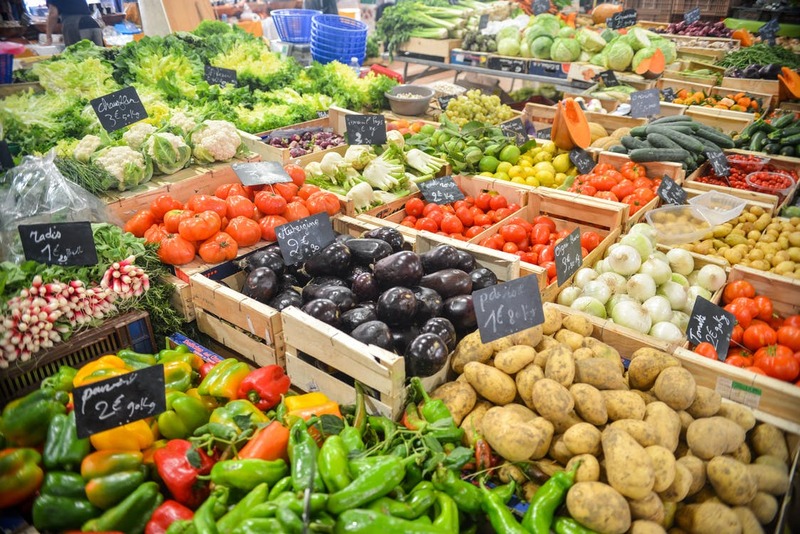 We stock up each shopping trip on milk, bread, eggs, and produce, so I like to go where I know those things will be the best quality at the lowest prices. I also like to shop where there is an incentive for the kids. Some places will give a free cookie at the bakery or a sucker at the check out stand, but luckily our favorite store allows kids a free piece of fruit. The kids choose between an apple, banana, or orange. I love that I’m not giving them a ton of extra sugar, and they aren’t going to be a mess of frosting by the time we are done shopping. I find that I am able to better shop when I have less kids, but also maximum brain space. 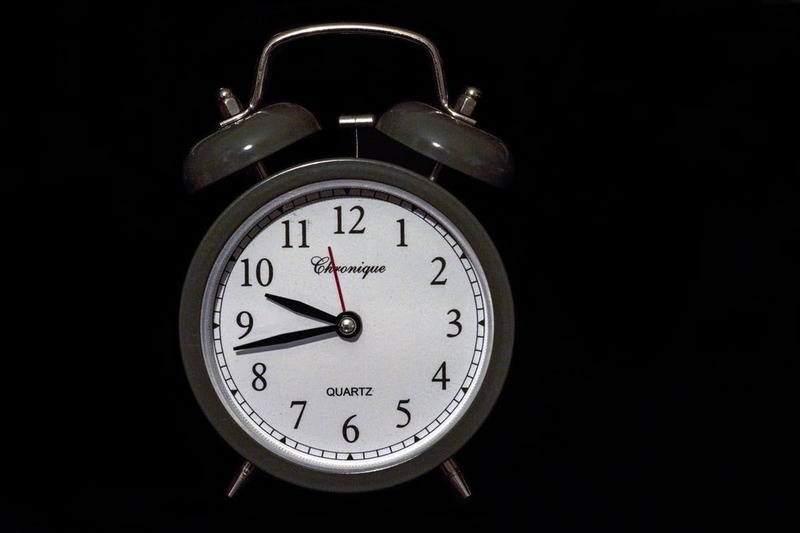 For me, this time would be in the morning right after the kids go to school. My younger kids come along and “help” me shop. I usually have one kid walk, one ride in the front, and I carry the baby in a sling. The walker will help put things in the car and usually gets to choose a special treat out of the produce department to have us cook that week. The kid that rides in the cart is in charge of holding the list, and feels pretty proud about that job! Shopping in the morning means that I am not shopping right before lunchtime and nap time when the kids will be tired and grumpy. It also means that we are missing the before dinner rush when I would have to take all the kids and be more prone to impulse buys. I also set a time limit for myself. Knowing that the attention spans of kids is not amazingly long, I try to get in and out as fast as possible. I usually gauge my shopping trip by how quickly the kids eat their free piece of fruit, and wrap things up when they have finished. 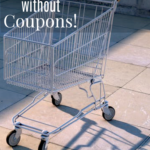 I don’t use coupons, but I do shop sales. I have been doing this long enough now that I know the general lowest prices of the items we usually buy. When we first got married I had a small notebook so I could keep track of the bottom-dollar prices. Just because an item is on sale, doesn’t mean that it is on the best sale of the year. We do a huge shopping trip every fall to re-stock all of our canned goods at the caselot sales. Grab and go lunch items are usually on sale at the same time, so we will stock up and get at least a couple months supply. 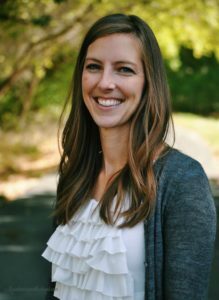 If there are name brand items that are on sale, I will make sure to check the price per ounce of the name brand and the off-brand. Sometimes you still are getting the better bargain by purchasing the normal priced off-brand item. If you know the taste is the same, the picture on the front isn’t that big of a deal. There are some items that I will only get the name brand of, but most things I can’t tell the difference on. The biggest thing for me is simply checking over my Two-Week Rotating Shopping List. I re-work this every time I make a new monthly menu, but it generally has the same things on it. At a glance, I can quickly determine what things I need to purchase. Many of the pantry items are staples that I already have on hand, so it is simply stocking up on the perishables. 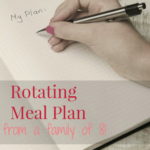 If you have already made a list of all the meals your family already eats on a regular basis, creating a master shopping list is the next step. 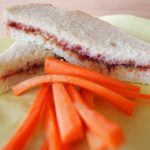 I try to plan my meals in a way that I can either make and freeze an extra meal to eat later, or so the leftovers can be used in a meal later in the week. I tend to cook things separately instead of mixing them together. That way I can be mix and match more easily. 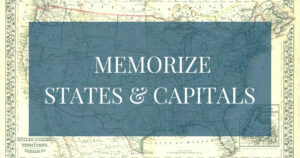 First, compile your list and create a rotating menu that fits your family’s needs. Next, start with the first recipe and write down each ingredient. Move onto the next recipe doing the same thing, but adding tally marks for the duplicate items. If your family is anything like mine, you may find that your recipes tend to have the same types of main ingredients. This helps to make that shopping list not too crazy and out of hand. 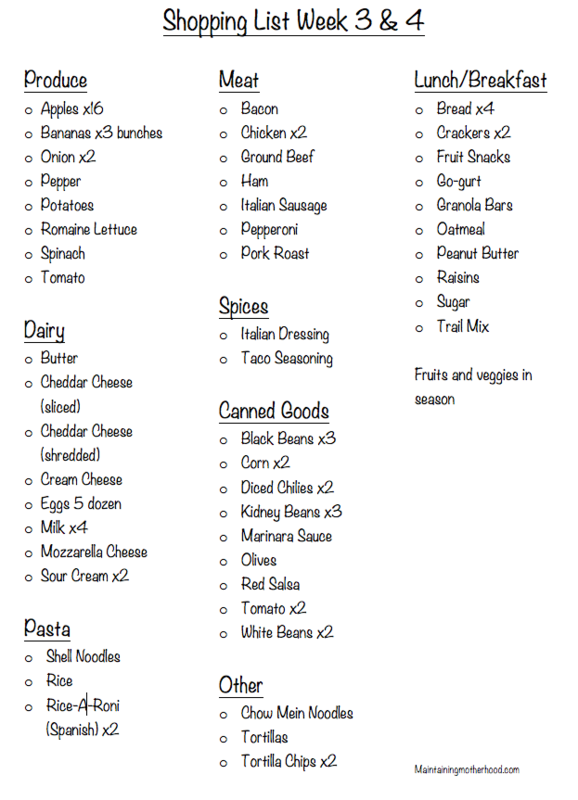 I makes sure to add things we normally have for snack, school lunches, and our favorite sides on the list as well. The list mostly serves as a reminder of what’s coming up so I can check the pantry and freezer before heading to the store.